4 Bedroom Detached House For Sale in London for Guide Price £1,550,000. 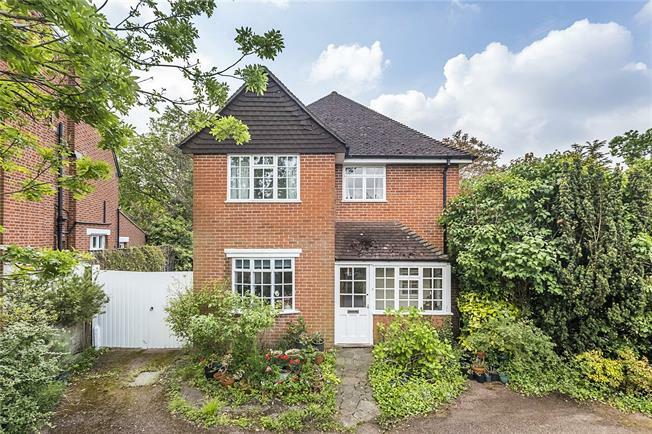 This delightful detached house sits on an attractive plot on the corner of a very popular residential road in West Wimbledon. The property offers welcoming accommodation, with an entrance-dining hall featuring a large bay window. A full width sitting room is located to the rear, also with bay window, which enjoys a southerly aspect and views of the garden. A separate kitchen is located to the front of the house looking out towards the driveway. On the first floor there are four bedrooms, one with a shower, and a family bathroom. This property presents as a wonderful opportunity to make your own home, with options to re-model and extend, all subject to the usual consents. With off-street parking for several cars to the front of the property and a garage located at the rear of the house. The property also boasts extensive wrap around lawned garden, bordered with a variety of plants and shrubs. There is also a paved patio area and side access.